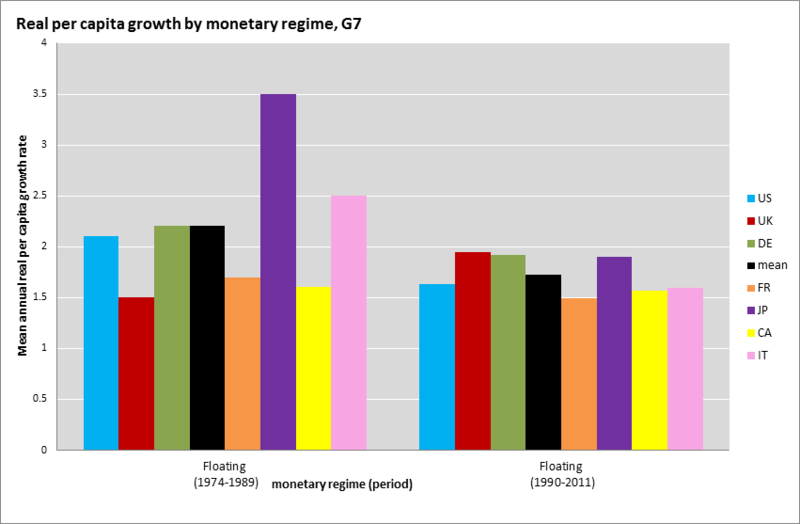 Compared to Rauchway's charts, the updated versions bring both good and bad changes from the perspective of floating (fiat) currency proponents. On the positive side, inflation has come down quite a bit. On the negative side, so has real GDP growth -- although to a lesser extent. You can better see this by looking at the next two charts, which compare the 1974-1989 (i.e. 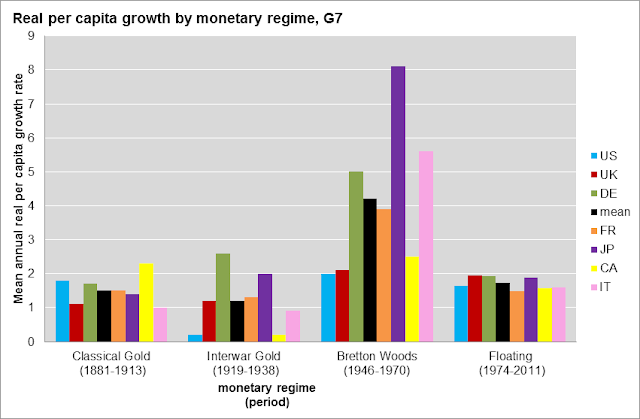 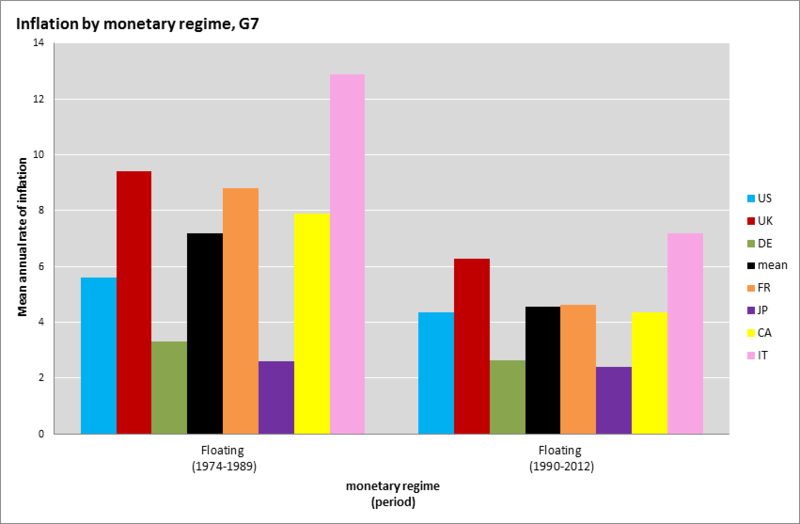 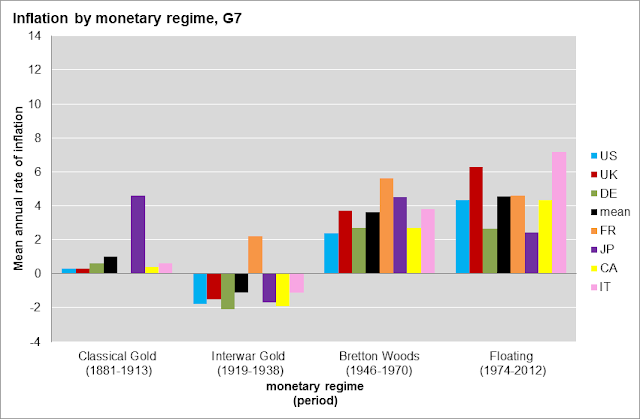 as in Bordo's paper) and 1990-2011/12 periods of the post-Bretton Woods era.